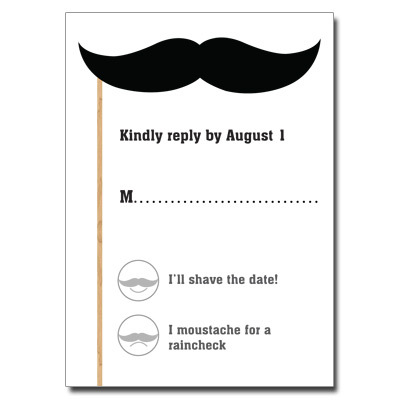 Commemorate your child's special day with this playful and quirky personalized keepsake bookmark that matches our Moustache invitation suite. 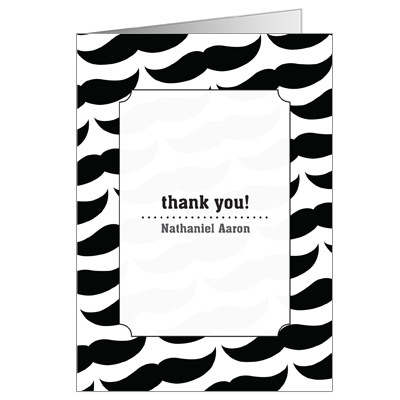 This bookmark features a background of various black moustaches on an off white textured background. 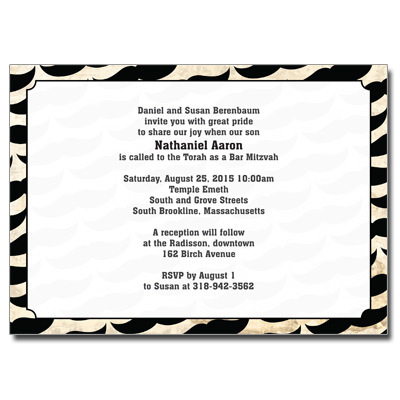 Personalize it with your child's name, event type and date. 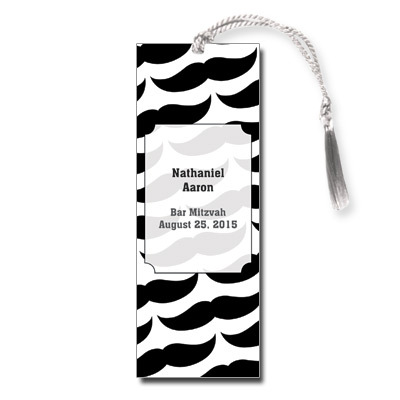 Bookmark measures 2 x 5.5 and comes with white tassels; light assembly required.